In the early days Engecie gloves were exported directly to retailers who would the advertise and sometimes 'announce' their arrival in local newspapers. Below are some such adverts from the 20s. All the way from New Zealand this advert from The Wellington Evening Post of November 11th 1920 highlights the reach and fame the The National Glove Company had in the early days. 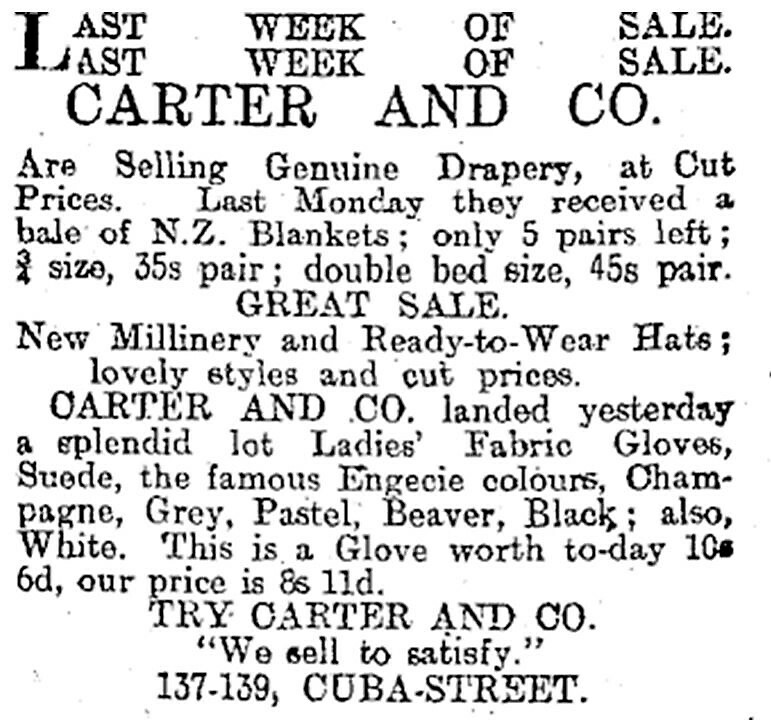 Clearly Carter & Co in Wellington were delighted to have landed a consignment of Engecie fabric gloves. An export market that continued to be good for the company over many years. Way down under this advert comes from The Western Australian newspaper of January 7th 1924 and is advertising Engecie imitation suede gloves available at The Economic Stores in Perth. Their headline reads 'Great Annual Summer Fair! Seasonable goods almost given away at superbly generous prices! Be early'. The same advert copy is used here in The Launceston Examiner on August 8th 1924, this time for The Golden Fleece store.